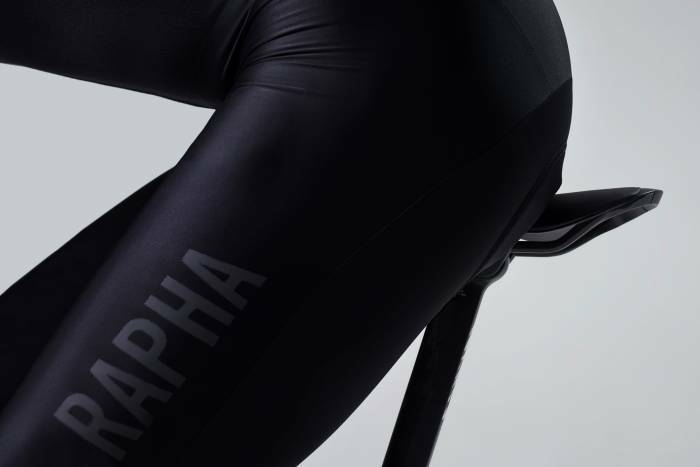 The renowned cycling apparel brand Rapha promises the first customized bib-saddle system. Sometimes the hardest part of riding a bike is sitting on a bike. Chamois offer some relief, and we recommend them. And bike seats themselves come in all shapes, sizes, and materials to make riders as comfortable as possible. And now, U.K.-based Rapha, one of the most prolific bib short and cycling apparel manufacturers, purposefully designed the two to work together. This month Rapha launched its first line of saddles. 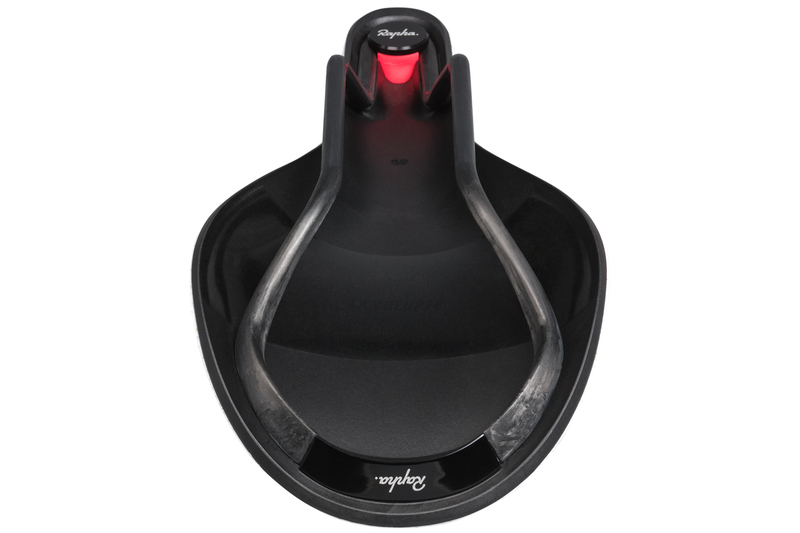 The brand launched two categories of saddles, each in narrow and wide sizes. 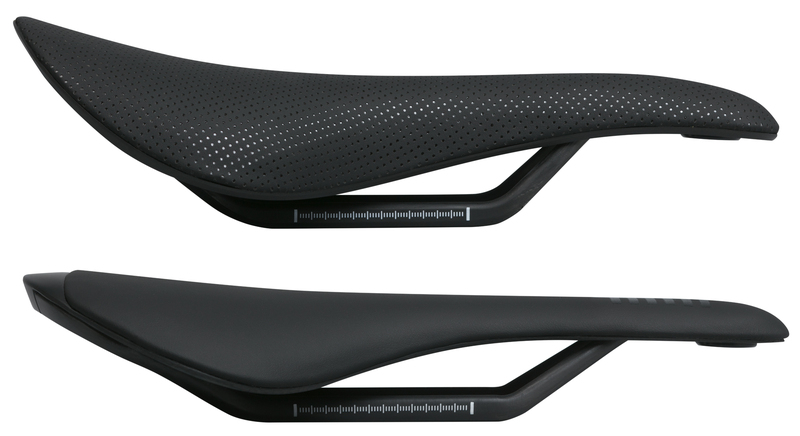 Both saddles sport a single-piece carbon rail construction and a water-resistant cover made with microfiber and PU foam. Each is available in 130-mm and 145-mm widths. The Classic saddles are heavier, curved for anatomical comfort on long rides, and sport a nylon shell with carbon reinforcement. The Pro saddles, meanwhile, feature a 100 percent carbon shell to keep ounces to a minimum and a slimmer, flatter profile for racing. The Pro line also offers a center cutout in both widths to cut grams. According to the brand, the Classic saddles weigh 179 grams (just over 6 ounces), while the Pros weigh 144 grams (5.07 ounces) for the solid and 141 grams (sub-5 ounces) for the cutout. Classics come in white or black, and Pros only sell in black. But both lines will sport special color schemes for Rapha Cycling Club members. The Classic costs $250, and the Pro costs $395. “Even the most comfortable bib shorts in the world are at the mercy of the saddle upon which they sit,” Rapha said in a press release. Alex Valdman, the brand’s creative director, said Rapha assembled a team to begin making saddles two years ago. “We wanted to create an unrivaled riding experience by combining the Rapha chamois with a saddle, so we recruited the most experienced saddle manufacturers, developers, and engineers in the industry to help us create a system that could provide total comfort,” Valdman said. Rapha designed – and named – the Classic and Pro saddles to pair with its line of Classic II and Pro II bib shorts, respectively. Buyers can log on to the Rapha Saddle Calculator to find their ideal bib short-saddle combination. The calculator uses rider weight, waist measurement, and riding style – “road” for balance and comfort, or “race” for power and aerodynamics. Rapha’s calculator notes that saddle padding density and chamois thickness in the bib vary based on rider weight. Waist measurement helps determine saddle width, and preferred riding style – road or race – dictates which saddle line is best. If the concept sounds familiar, it’s because Fizik unveiled a similar platform dubbed “Link” in 2016. Both options aim to address rider comfort by individualizing apparel and gear as much as possible.